Got the sniffles? 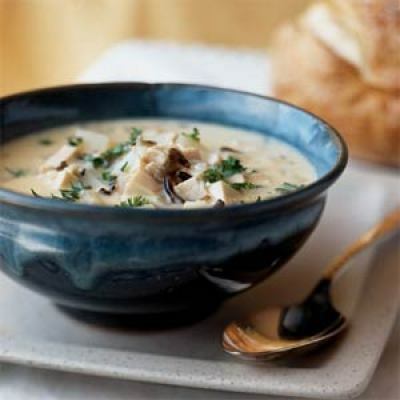 It's cold and flu season, so it's a good time to test-drive this recipe for Chicken and Wild Rice Soup. It's filled with nourishing ingredients that help soothe your sore throat, open up nasal passages, and loosen congestion. What's more, this delicious soup will help you regain your appetite. The milk and low-fat cheese give it a creamy taste; the chicken provides lean, low-fat protein; and garlic and onions help fight inflammation. Make a big batch of chicken soup and reheat it throughout the week for effortless and satisfying meals.